I am fortunate enough to have been coming to Boca Grande for 33 years. I have seen a lot of changes over the years. The charm and beauty of Boca Grande is a treasure to be preserved. I cherish my time and my home on Boca Grande. Walking the beach at any time of day is so restorative, and I have walked the beach in Naples on an early morning, in the shadow of the buildings, reminiscent of walking on Wall Street in the city. 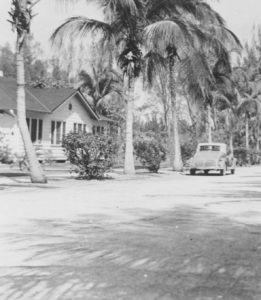 It would be great if it were possible to declare the entire island of Boca Grande a Historic District. I live on Nantucket for a major portion of the year, and the whole island is a Historic District. Any building or change to a property must be approved by the HDC (Historic District Commission). It’s not easy, but it is what has kept our island beautiful. My hope for the future of Boca Grande would be the same, and HDC could then preserve the feeling of old South Florida.